Here are two stories written by me, as an outsider looking in, as a vaccination campaign starts in Zambia to control the Cholera outbreak that started in Feb-16. There has been a very successful programme to establish a water treatment product called ‘Clorin’ in the private sector in Zambia. Up until about a year ago ‘Clorin’ was available in the big supermarkets, pharmacy chains and small retail outlets in Zambia’s urban compounds (townships) and in the small shops serving the remotest of rural communities. Furthermore, most of Zambia’s adult population knew what ‘Clorin’ was and knew how to use it. ‘Corin’ was produced locally and sold in distinctive blue bottles with a measuring cap that were also manufactured in Zambia. However, a year or so ago stocks of ‘Clorin’ in retail outlets started to dwindle and now it is very difficult to get hold of. So what has gone wrong? Here’s an outsider’s view. The ‘Chorin’ brand and product was created and established in the market under a USAID-funded programme called USAID | PRISM. The PRISM programme was managed by the Society for Family Health (SFH – the PSI Affiliate in Zambia). Pharmanova, our pharmaceutical partner for Kit Yamoyo, produced ‘Chlorin’ under contract to SFH. SFH then applied a subsidy and marketed and distributed it. So far so good. Then, after 5 years, the PRISM project came to an end. After some delay, a successor to USAID | PRISM was announced: USAID | DISCOVER-H. SFH bid to run the DISCOVER-H programme but failed to win the competitive tender. Instead the programme went to JSI. During the hiatus between USAID | PRISM and USAID | DISCOVER-H, the funds to subsidise Chlorin stopped, but the demand for ‘Clorin’ didn’t go away. As supplies dried up, distributors and wholesalers turned to the local manufacturer of ‘Clorin’, Pharmanova, for unsubsidised supplies. Pharmanova had the raw materials to manufacture and they had the bottles. But, and here’s the rub: they are unable to produce ‘Chlorin’, because it is not their product. It is SFH’s product. SFH want to keep it, even though they no longer have sufficient resources to commission manufacture, to subsidise, market and distribute it. Now that USAID | DISCOVER is underway the difficulties continue. The ‘Clorin’ product remains with SFH while the resources to market and distribute such a product now lie with JSI. A small amount of ‘Clorin’ continues to be produced for SFH with funding from other sources, including UNICEF, for special programmes, but ‘Clorin’ is generally not available to normal consumers as it was before. Cholera broke out in one of the townships (compounds) of Lusaka in Feb-16 and has spread. This is the first outbreak since 2010 so there is little-to-no acquired immunity to the disease. Coincidentally, the USAID | PRISM project mentioned above started in 2009. The latest public reports (7-Apr-16) indicate that there have been 664 cases and 12 deaths. The outbreak started about one year after ‘Chorlin’ became very hard to find in retail outlets. Are these events linked? 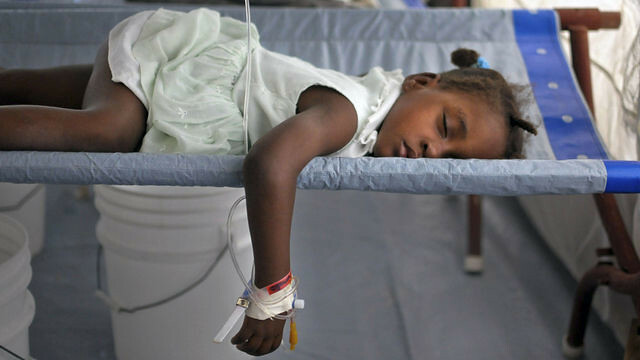 Cholera is a water-borne disease and key to its prevention is the treatment of water to make it safe to drink. There are several ways to make water safe. You can boil and cool it, or can use the solar disinfection (SODIS) method (not widely known in Zambia) or you can treat the water with chlorine. 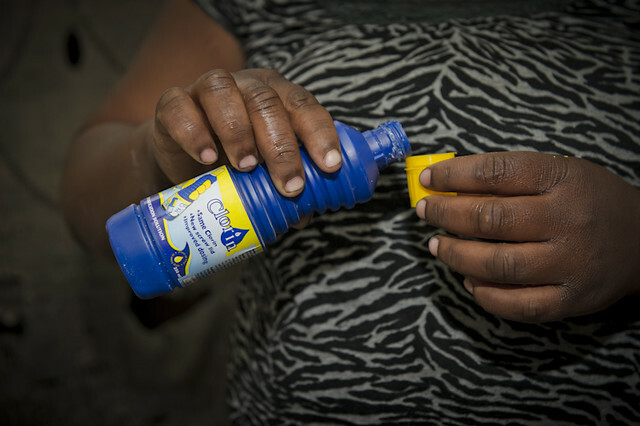 The USAID | PRISM programme promoted the chlorine method and was very successful in ensuring the adoption of this approach by a significant proportion of the Zambian population. They did this, as described in the story above, by the creation of the ‘Clorin’ brand and product, making it widely available to the people of Zambia through effective marketing and distribution. However, since the outbreak of Cholera, and for a significant period before the outbreak, people have not been able to buy ‘Clorin’ in the shops and that is still the case today. People are now dis-empowered once more, depending on free hand-outs of Chlorine if aid agencies consider them to be in a high risk area. They can no longer take control themselves and buy ‘Clorin’ at their local community shop. Are there lessons can we draw from these two stories? Yes. There are definite lessons to learn from this. The most sustainable development model is one in which the local entities themselves produce/ distribute / manage the chain, without need for outside subsidy/ aid or other help. Development without empowerment is not sustainable. Thanks for going to the trouble to comment on this blog post and making links to previous statement made. We are driven by these principles of sustainability.